The idea for My Way was birthed from a World War II photo. It shows a small asian man clad in a German army uniform. It was reported that the man survived a 12,000 km journey across the battlefields before ending up in France. He was a Korean. My Way, South Korea’s World War II movie revolves around frenemies Kim Jun-shik (Jang Dong-gun) and Hasegawa Tatsuo (Joe Odagiri). As soldiers, the pair finds themselves donning many different military uniforms while fighting in the war. 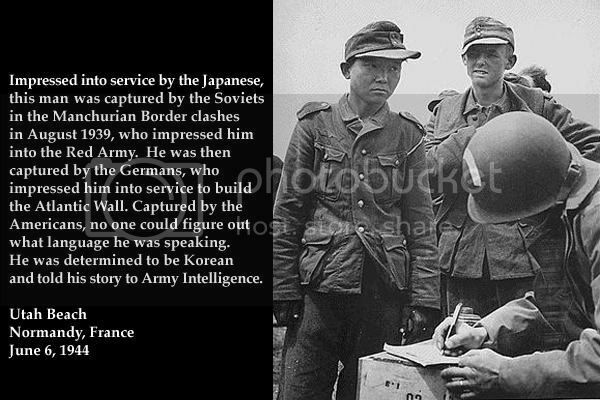 They went from fighting for Japan to the Soviet Union, Germany and eventually France. The film is said to be “loosely” based on a true story of a Korean man who survived a 12,000 km journey across the battlefields; ending in France. In the movie’s production notes, it is reported that the film is inspired by a photograph of an East Asian man found among German prisoners after the Allied’s victory at Normandy. We think it is the picture below. The story behind the photograph moved and shocked My Way’s director Kang Je-kyu after it was highlighted in a TV documentary in South Korea. The film’s budget is estimated at a whopping RM77.3mil and it took Kang three years of writing and eight months of pre-production before shooting began in Oct 2010. 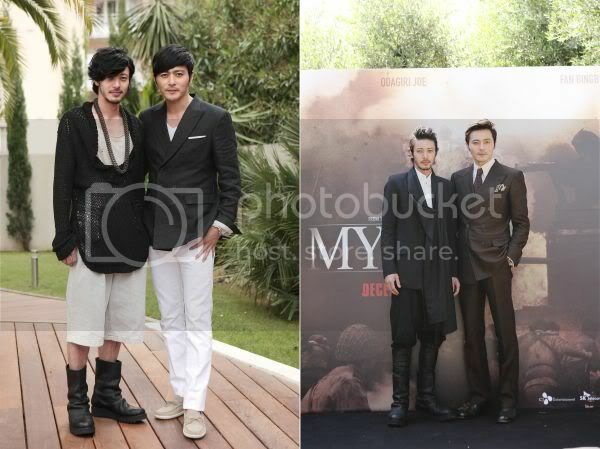 The cast is toplined by none other than Jang Dong-gun (Korea) and Joe Odagiri (Japan) with Fan Bing Bing (China) portraying a smaller role. Jang reunites with Kang after the pair’s extremely successful run at the box office with Taegukgi: Brotherhood of War (2004). The chance to work with Kang again sealed Jang’s decision to film another war movie. Meanwhile, Odagiri also thinks highly of his South Korean co-star. “While acting together I could tell he was also considerate. I felt we understood each other well. “If I were a woman I would have a crush on him,” said the 36 year old. Opera star, Andrea Bocelli, lends his voice to the film’s soundtrack, To Find My Way. Composed by Lee Dong-jun, the song is played during the credit roll. Read K-popped!‘s My Way review here. The film will be playing in Malaysian cinemas on April 19. MY WAY IN SOUTH KOREA: Actor Kim In-kwon (left), who portrays Lee Jong-dae, with the main cast of the movie. Check out Joe Odagiri’s boots…again! What an amazing movie. I have never seen one like it. Dubbed into english? Hahaha dumbest thing i heard. Ever heard of subtitles?